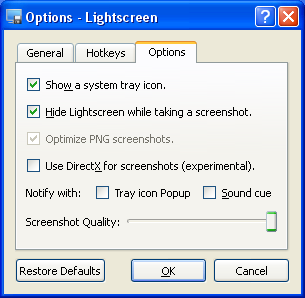 Lightscreen is a small and simple freeware to capture your desktop screenshots. It can be executed silently at Windows startup, and stays in the system tray, besides the clock. Capturing is easy. You can use the gui, or just invoke the configurable hotkey. Lightscreen supports capturing full screen, window and area. The result will be automatically saved in a directory according to user preferences. Besides, you can also choose between three different format of the output image. 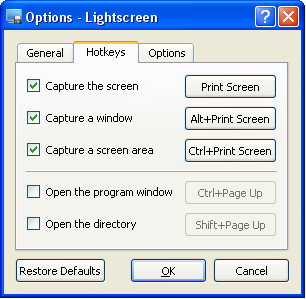 Lightscreen supports PNG, JPEG and BMP. If you have any suggestion, please leave a comment.